William, my grandson, is in bed. We had a nice time today, but he is so active I wasn’t able to do a sketch with him in front of me. I memorized his features and tried to replicate them in the portrait below. 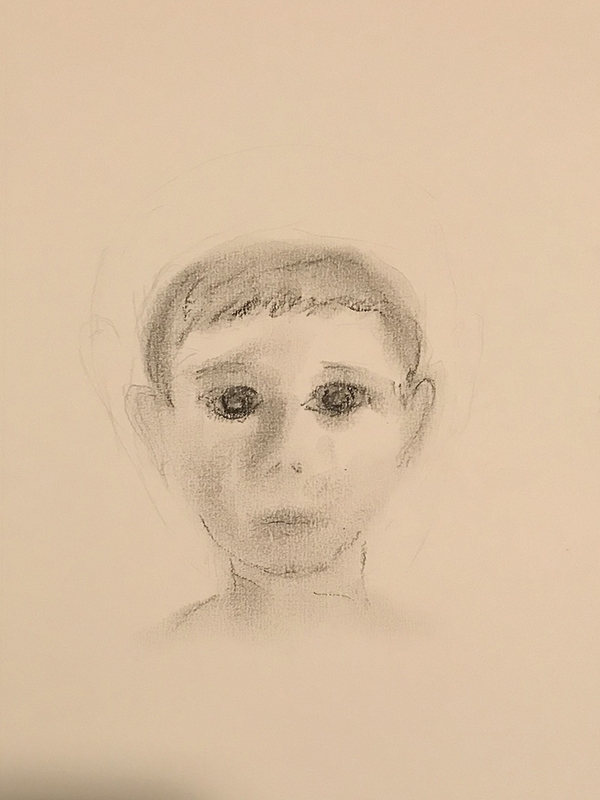 This entry was posted in Personal Stories and tagged art, artistic process, creative process, creativity, grandson, memory, portrait, portraiture, sketching, visual arts. Bookmark the permalink.